Fieldwalking is used to map where archaeological objects are found across the surface of ploughed fields. There are two main types: line walking and grid walking. Line walking is where a group of fieldwalkers walk alongside each other spread across the site. 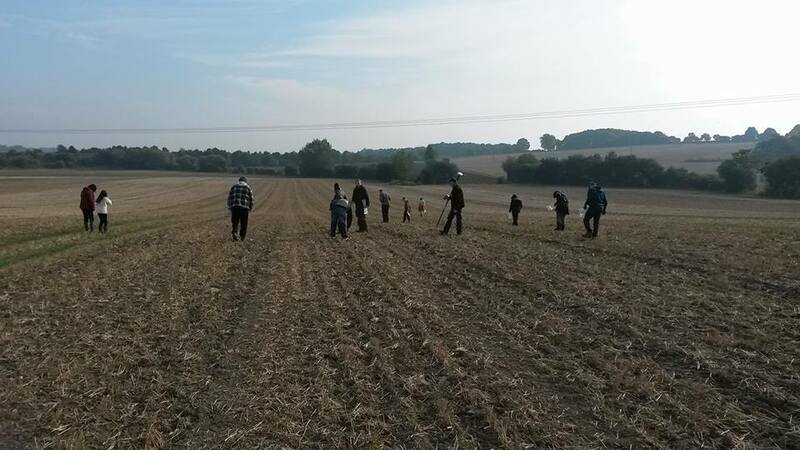 They walk forwards in a straight line, collecting finds (such as worked flint or pottery) as they go. Each ‘line’ is split into sections usually called ‘stints’; finds are bagged up depending on which line and stint they were found within. In grid walking, the survey area is split into squares. Each fieldwalker is given a square to search for finds in a set length of time. Finds are then bagged up by grid square. Both these methods allow archaeologists to map where there are find ‘hotspots’ across a site. The pattern of finds might then help them to decide where to place their trenches in an excavation. Pontefract YAC's annual fieldwalking session. Fi sh hullies could be considered a version of refrigeration before fridges were invented. Once fish and shellfish were caught, there had to be a means of keeping them fresh and in some cases this meant keeping them alive. Some places used fish hullies; in Northumberland these are also known as Bratt Holes. They are pits cut into the rocks which were submerged at every high tide, to provide fresh sea water, where fish and shellfish could be stored until they were transported. Examples of these have been found at South Landing in Yorkshire and Beadnell in Northumberland. The example at Beadnell was cut into the rocks and has a recess to which a wooden lid can be fixed so that the fish did not escape at high tide. Other examples are at Robin Hoods Bay in Yorkshire and Cresswell in Northumberland. Fish hullies tend to be found in the North-East and Yorkshire and appear to only have been used in areas where no deep water harbour was present. Fishtraps, sometimes known as fish weirs, are a method of coastal fishing. Fishtraps or fish weirs use man-made barriers to guide fish into baskets; sometimes this works in conjunction with the tide. There is evidence of Mesolithic fishtraps but this method of fishing was being used until relatively recently, such as at Cleethorpes, where fishtraps were used into the 20th century. A majority of fishtraps are located in the intertidal zone. 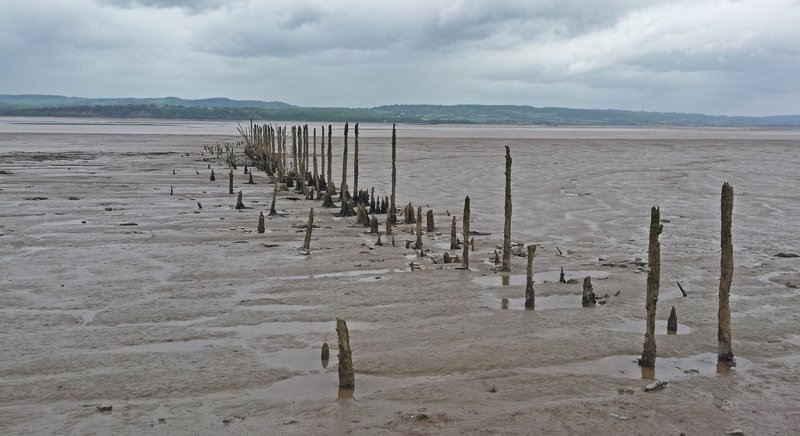 Prehistoric and Roman fishtraps are rare and this is mainly due to sea level rise. It means that very low tides are needed to see them because much of the time they are covered by water even at low tide. Some of the medieval examples are associated with monasteries or manors. Fishtraps are usually made of wood but some stone and metal examples are known, such as the stone example at Teifi Estuary in Dyfed. Fishtraps are usually “V” shaped structures, with the open end of the “V” facing seaward. When the tide comes in, so do the fish. The barriers guide the fish into a wattle basket or net located at the point of the “V”. The shape of the fishtrap is constructed of timber stakes and then the barriers are usually wattle hurdles, weaved from willow or hazel. Archaeologically, stone fishtraps are hard to recognise but are more durable than wooden examples. Wood fishtraps are usually identifiable by the remains of upright stakes, in the “V” shaped formation. It is less common to find the wattle baskets and hurdles but some examples have been found, for example on the Thames and the Severn.